Breathtaking oil paintings bursting with energy pull readers along into Big Lake, the home of Jangles, the biggest fish anyone has seen. Fishing alone at dusk, a boy feels a tug on his line and comes face-to-face with the gigantic trout--whose enormous jaw is covered with so many lures and fish hooks that he jingles and jangles when he swims. 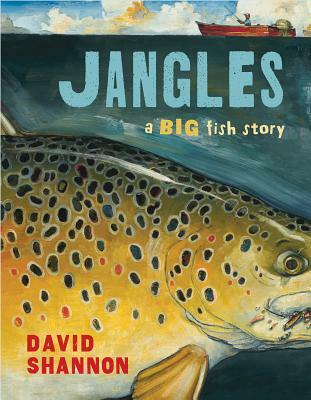 Terrified by the sight, the boy is shocked when Jangles befriends him and takes him on an adventure to the bottom of the lake. A surprise ending will leave readers laughing and shaking their heads. Here is Shannon at his very best--in a wild and witty story that begs repeated reading.